As we approach the holiday season and the end of the year, it’s natural to start thinking about what has transpired in 2018. People are justifiably nervous about the advent of a “new normal” in which hardline divisiveness and rough-edged public discourse rule the day. The CFMC sits at the center of a process in which resources flow from private donors to nonprofits supporting all aspects of life in Monterey County. This is exemplified through Monterey County Gives! We expect as many as 5,000 donors to utilize Gives! in support of 169 nonprofits. In October, at our Celebration of Philanthropy, we presented Leon and Sylvia Panetta with the Distinguished Trustee award. As only Leon can do, he gave a seamless acceptance speech that invoked Alexis de Tocqueville and his great work, Democracy in America, citing de Tocqueville’s observations about the strength of community in America – people helping people – and how it sets our country apart. 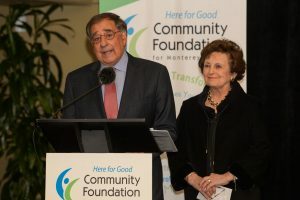 Secretary Panetta then pointed to the CFMC as a perfect example of this dynamic. It was a moment of pure pride for me, our board, staff, donors and the nonprofits we’re here to serve. Philanthropy can create these moments. Monterey County Gives!, or any other giving mechanism, provides the opportunity. Be thankful. Be generous. Be understanding. A Frenchman wrote about these qualities in 1835. A native son who became Secretary of Defense reminded us in 2018. Your community foundation is here to carry it forward. 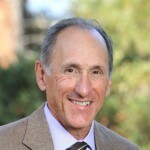 Dan Baldwin is President/CEO of the Community Foundation for Monterey County, which holds more than 500 charitable funds and has total assets of more than $265 million. In 2017 the CFMC granted $16.7 million to hundreds of nonprofits in Monterey County and beyond. 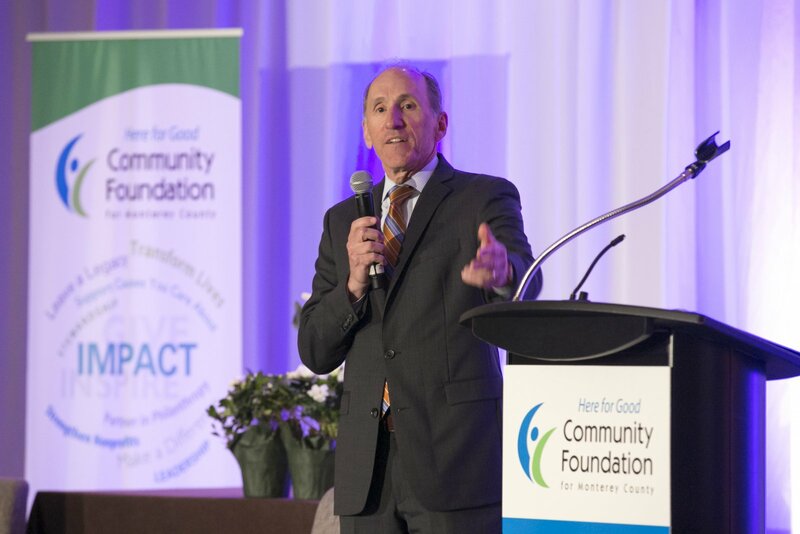 Read more about the Celebration of Philanthropy and investing in communities in our latest newsletter, Giving Matters .